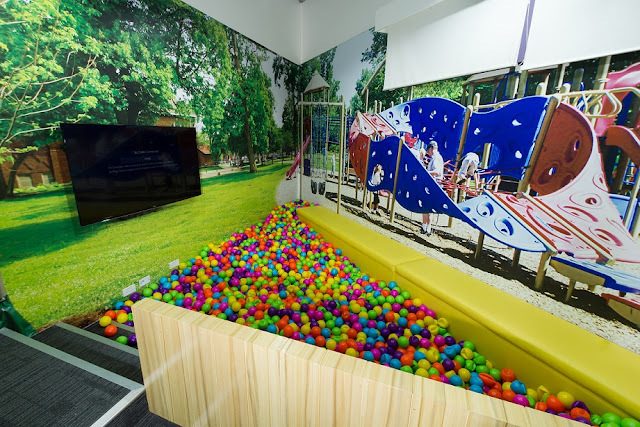 TELUS opens branch at McKinley West, BGC, featuring state of the art facilities and a fun work place. Manila, Philippines – TELUS International Philippines (TIP) launches its 5th site, TELUS House McKinley West, a five-storey building at Bonifacio Global City which showcases a modern industrial look with a unique approach to team members’ experience through its state-of-the-art facilities. TIP’s Facilities Director, Pia Felix took the lead in the project, overseeing the design, maintenance, equipment, service providers and other measures concerning security and safety. She ensured that the newly-opened site provide a fun vibe and employee-pampering facilities. 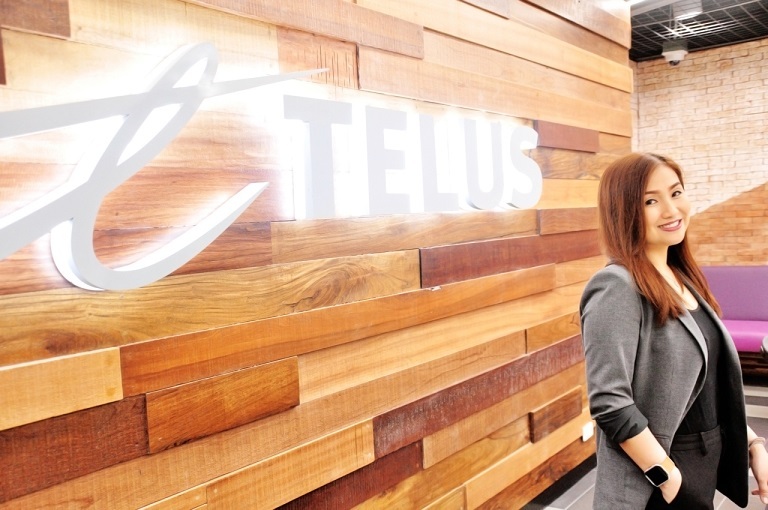 More than being fun, TELUS International Philippines fosters a caring environment that is reflected in all its initiatives for its team members. Fun is the result of the conscious effort of providing programs and facilities that support the professional and personal growth and development of its team members. “This is our team members’ second home. They spend 9 - 10 hours at work so we want to make them relaxed and feel that they are taken care of by the company,” she notes. A tour at TIP McKinley West will show you why it is cool to work in this call center offering inspiring work spaces for its team members. Hands down, TIP McKinley West’s strategic spot makes for a laidback yet urban setting, pretty much recreating what’s familiar to the team members hailing from down south like Alabang and Cavite. If you think it’s out of the way, TIP provides shuttle services that drive team members to work and back, by stopping from one site to another. The biggest bonus of the site is one of its buildings faces the green, picturesque McKinley West Park on Chateau Road! There is no shortage of colors, prints, and patterns at TIP McKinley West. The lower ground floor of the building where the company entertains aspiring TIP team members, reveal walls, lounges and other furniture with details of brick, wood, and metal. The interview rooms have oversized prints on the wall as backdrop and this motif runs through in some of the offices in the second floor including the training rooms, HR, and the library. The interiors are made more dynamic with industrial insets—repurposed tires as walls, metals molded like container vans for meeting and coaching areas, and carpeted or tiled floors of asymmetric designs! “People have this notion that working in a BPO is a monotonous job—it’s not! We at TIP do understand that for our agents, there’s a need for them to break out from that monotony that’s why we have themed interiors and other areas that relax the eyes and the mood.”, she added. The well-being of the team members still holds top priority at TIP, says Felix. She specifically tailor-made the chairs to fit anyone’s posture no matter his/her height and size is. Coaching areas are situated nearby for some counseling. Snooze boxes are provided for those looking for a helpful shut eye. The gym here is TIP’s biggest yet across its Metro Manila branches. It’s complete with machines, shower rooms and motivational quotes up on the walls and it holds Piloxing and CrossFit classes too. The pantry is designed for a big group and has leveled benches that rise up onto a spot where TIP leaders can stage meetings facing everyone freely in the room. While Felix believes that the deliberate design of the site helps in the productivity of the TIP team members, she also sees how the company strives to make them better-rounded people through their other initiatives. TIP has the TELUS International University which offers short and full degree courses to team members and to their families; Town Hall, the annual concert for all TIP members; Heroes Day, which pays tribute to frontline agents and CSR activities that encourage team members to give back to the community.